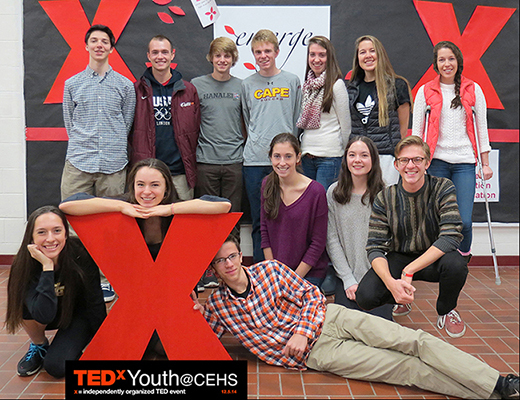 A $9,000 CEEF grant went to TEDxYouth@CEHS, making possible a day of exploration, inspiration and connection for the high school on December 5, 2014. TEDxYouth aims to inspire juniors and seniors as they begin thinking about how to create meaningful, connected, joyful lives. Speakers from diverse places and professions challenged the students by telling their stories of their own uncertainty, passion, perseverance and discoveries. The theme, Emerge, formed the backdrop for the over aching messages of the day: listen to your self, dream big, take action, forge relationships. It was by all accounts a stunning success.